Ah, the spectacle of a political organisation tearing itself to shreds. We’ve had the Conservatives, we’ve had Labour, we’ve had UKIP… and now, we have SUSU – or Us., as we should get used to calling it. This kind of thing is always cathartic, especially when it concerns a group about which the general opinion is pretty poor – and make no mistake, student opinion of SUSU has been low for a long, long time. That’s one thing which the brand review did get right. A lot of the commentary over the last few days has focused around the Union’s rebrand itself. 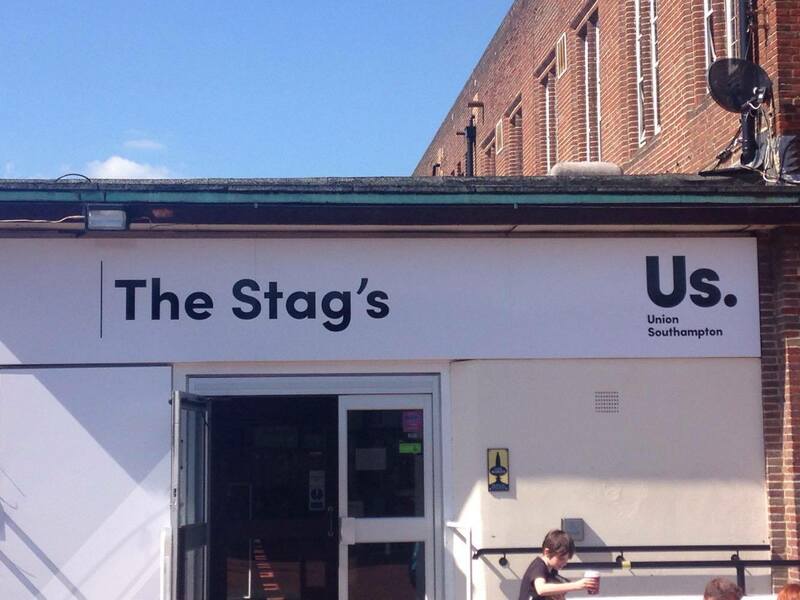 This is understandable; the new logo is a dramatic stylistic departure from the old and the way in which it was first presented to the student body (those abysmal, monochrome signs over the Stag’s Head and Building 40’s main entrance) seemed almost calculated to arouse as much anger as possible. And frankly, the amount of money spent on the process – generally being reported at around £29,000 – seems way out of proportion to the quality of the new branding. Our natural tendency to resist change is something which has to be carefully managed in order to successfully overcome it, and this has definitely not been done in this case. The necessity of the rebrand is also questionable. To many, this is the central issue. The reason the Union’s ‘brand’ is poor has absolutely nothing to do with the physical appearance of its logo, its website or any other part of its ‘branding’. I accept that some people thought the old logo looked a little outdated, or that the website appeared a little crowded, but these concerns were minimal. Far more substantial is the perception of the Union as a clique, unresponsive to students’ needs, and imposing unnecessary demands upon student societies. SUSU is seen as interfering where it need not be and lax where it ought to do more. This is the real reason the brand is poor, and changing a logo is not going to help with that. So, if a new lick of paint isn’t up to the job, then how can we make our Union better? The hint of a solution can be found in the perhaps most rage-inducing element of this entire saga; the claims that SUSU has engaged students in the rebrand process, yet the obvious gap between these claims and the feeling of the student body. The crux of SUSU’s claims is the rebrand survey which was circulated in February. About 2,500 students participated in this survey, which amounts to around 10% of the student population. This should immediately raise a red flag. Any decision of this wide-ranging and obviously controversial nature should not be allowed to proceed on such a thin democratic basis. There were also serious concerns raised over the quality of the survey itself, which was stuffed full of leading questions – including facile nonsense about what kind of animal SUSU would be – and provided limited response options. Yet, with all this in mind, SUSU proceeded with the rebrand project anyway. The ‘Change.org’ petition which was begun on the 14th May and has, at the time of writing, accrued over 1,700 signatures is far more straightforward. It allows students to express a simple opinion, directly in opposition to the rebrand exercise. And yet SUSU’s response (and, distressingly, the response of some writers for the Wessex Scene) was basically ridicule. Whereas SUSU’s survey was obtuse, vague and leading, this petition is simple, direct and clear. Furthermore, it has attracted (through wholly organic means) well over half as many responses as SUSU’s commissioned survey. This suggests to me that, contrary to the Union’s protests, a majority of the respondents to that survey did not – insofar as is it was possible not to – express any opposition to the current branding. Far from lambasting this petition, the Union should be taking on board the criticisms of the people it is, after all, supposed to be working for. Those criticisms essentially boil down to this: the Union has failed in its job to represent the students. The internal democratic mechanisms do not work. Attacking individuals, such as current President Ben Franklin, is pointless. This is a systematic problem and requires a systematic solution. The same, or at least very similar, issues emerged after Wednesday 11th’s AGM. A number of the policies passed at that meeting attracted significant controversy, not least the appointment of Susu the cat as Honorary President (something which I personally thought was one of the more sensible motions on offer, but there we are). More worrying from a practical perspective were the motions to implement sleeping pods on site (which is likely to hit the triple stumbling blocks of being expensive, impractical and… shall we say, unhygienic) and to ban the use of all plastic by the end of the next academic year (something which is just not going to happen, full stop). Most alarming to me, personally, is the decision to replace all sofas and booth seating in the Stag’s with wooden stools in order to be more ‘efficient’. Presumably, then, it is assumed that the only reason to enter a pub is to get as much alcohol down as many people as possible – comfort or atmosphere don’t enter into it. Mind you, atmosphere has already been sacrificed by the presence of obnoxiously large displays of football merchandise on every available flat surface and the constant booming of Top-40 dance-pop at 500 decibels. But I digress. This is, of course, quite correct. SUSU is composed of all its members, not just the Union leadership. The problem is that of the 24,000 or so students studying at the University of Southampton, almost none voted in the AGM. No motion attracted more than 250 votes and most had far less. That is an appalling proportion, and – like the low turnout rate on the brand review survey – it raises important questions about how Union democracy is meant to work. How can such minute numbers be considered quorate, let alone binding? It’s all very well to say that the fault rests with students for not voting, and to a certain degree that may be true, but when the Union deigns to scarcely promote the AGM or other such meetings – including the so-called ‘Open Council’ meetings in which ideas for the rebrand were finalised – is it really any wonder that turnout is so poor? I myself only stumbled upon the AGM by accident while searching for something else. If the problem is a sweeping lack of democratic engagement, and a feeling that the Union is run by an unaccountable clique, then we have to put systems in place to change that. My proposal is this: quorums for all votes, including the AGM and both the main and summer sets of elections. A minimum of 20% of students to vote on an AGM or other General Meeting policy for the result to be binding, and a minimum of 50% turnout in elections. Voting durations should be renewed periodically until the requisite numbers have been achieved. This would force the Union to adequately promote elections and votes whenever they came up, and would in turn drive up student engagement. We should also have some kind of internal opposition to challenge the Union’s decisions. 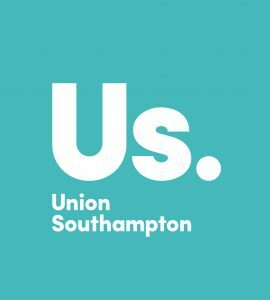 The Union Council as currently constituted is clearly not up to the job, given that it has rubber-stamped a rebrand which the student population at large finds very controversial. A recent article in the Wessex Scene suggests a system of course-based representatives which could attend meetings and scrutinise Union decisions. This is a good basis to begin with, although in interests of logistics it would make sense if these elected representatives then elected from amongst themselves a smaller team which could shadow the Sabbatical officers and check their decisions. If this sounds like I am suggesting a shadow cabinet, that’s good, because I am. For any kind of democratic institution to function, the governing body needs a strong opposition, otherwise the administration becomes insular and incompetence is allowed to spread. Finally, whether this particular rebrand is reversed or not (and I think it should be as long as the costs of doing so are not too high), nothing like this should ever be allowed to happen again. The Union Council and our hypothetical Shadow Sabbs should have the ability to identify issues which are of Union-wide importance to go to referendum, and for these a minimum turnout of perhaps 25% should be mandatory. It is no longer good enough that the Union leadership (and this does not apply specifically to the current team, but to all SUSU committees in general) are able to do things which the student body finds objectionable. The individuals involved are, in most cases, doubtless doing their best but they are hampered by a system which encourages cliques and a lack of outreach. Only by bringing in these various systematic changes can we make the Union truly ours.